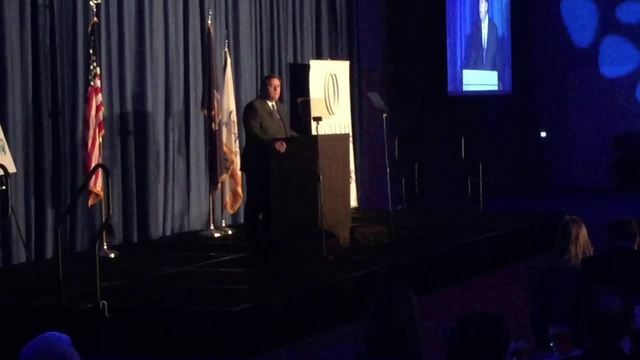 Olathe Mayor Michael Copeland delivered his state of the city message to a crowd of hundreds Friday afternoon. "We mourn together. We grieve together. And most of all we remain united. No act of evil will divide us. We will never allow hatred and bigotry to stand. We remain one Olathe," said the mayor. 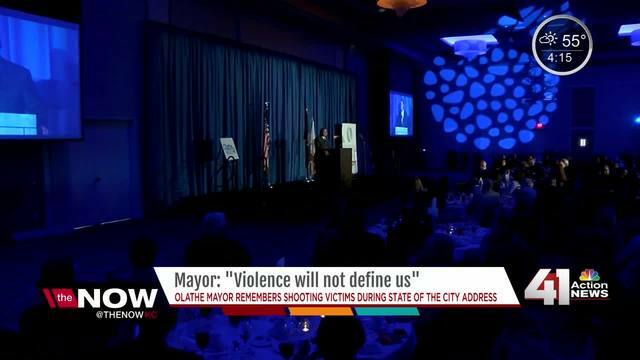 While the speech initially was meant to touch on Olathe's accomplishments over the past 12 months, it was overshadowed by the tragic fatal shooting at Austin's Bar and Grill , in which 51-year-old Adam Purinton targeted two Indian men at the bar, killing one, and injuring a third man. "This occasion is usually reserved for great news about Olathe," said the mayor. "But our community was shocked and saddened last week by the tragic events that took place at Austin's Bar and Grill." The mayor also highlighted Olathe's successes, such as it being number 11 among America's Best Cities to Live, that it's the top city in Kansas to buy a home and that it's the number one happiest city in America.